In the second part of Coast Valley Moving and Storage’s series “Moving Tips to Make Your Move (and Life) Easier” we visit the idea of preparation. Preparing for your move is by far the most important part of the process. This gets you set up for either success or STRESS! As experienced San Clemente movers we know that a strong plan and prep time can make all of the difference. Here are our tips to help you run this process smoothly. 1. Mail forwarding and other address forwarding- Remember to forward your mail at least 4 weeks in advance mail forwarding only lasts for 3 months so subscriptions that will be sending past that date should be called separately. Other transfers include bank statements, credit card address change, bank account and ids. 2. Utilities – Utilities are extremely important! Remember to cancel and or transfer your gas, electric, water and cable. This needs to be done with plenty of time as well so you don’t end up paying for utilities you haven’t used. Also look into transferring rather than canceling because canceling can sometimes come with a fee. 3. 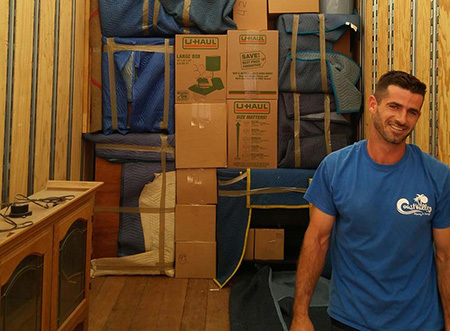 Deciding on a Mover- This is an extremely important decision. There are many factors that come into play here price, accessibility, customer service, licensing and insurance! Make sure your mover is licensed and insured this is extremely important when it comes to items and guarantees. One over way to make sure you go with a good mover is checking reviews. Check out Coast Valley’s San Clemente moving reviews as an example. What better way to vet a company than to see what other consumers though! 4. Packing supplies- Once you pick a mover you want to decide what services you want them to provide. Movers like Coast Valley Moving and Storage do both full and partial service moves. Full service moves are where the professionals pack everything and move it and you don’t need to lift a finger. Other individuals prefer to gather their own packing supplies; pack themselves and have movers just move the boxes. Once you decide you can look into cost of full service or if you are packing yourself ways to find free moving boxes. Ideas- check your local grocery store or liquor store. Use baskets and suit cases. Check out places like Home Depot to purchase boxes. 5. Take Measurements- Be sure to take measurements of your new home; both living areas and entrance ways. Just because something looks good and fits in your current home doesn’t mean it will fit in your new one. This is also important when figuring out if an item can fit through the entrance ways. You don’t want to ship your couch all the way to New York then realize you can’t fit it through the front door! Moving can be a stressful situation just make sure you are preparing ahead of time and you will be sure to have a much better experience. We here at Coast Valley Moving and Storage take pride in our company and commitment to customer service. If you have any further questions or need moving advice be sure to call one of our Orange County moving company coordinators and we will be sure to answer anything you need! Call us today! Happy moving!